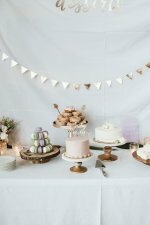 The Candy Bar game is one of my favorite baby shower game ideas! 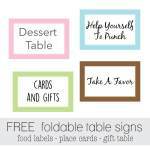 We have DIY versions and easy, printable versions for you to choose from! If you are wanting to go the DIY route, buy the following candy bars and tape them to a large piece of poster board. 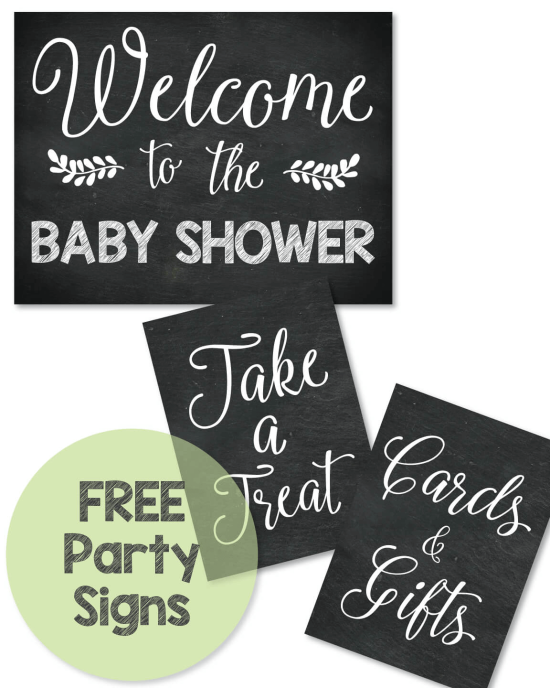 Hand out paper and a pen to each guest. 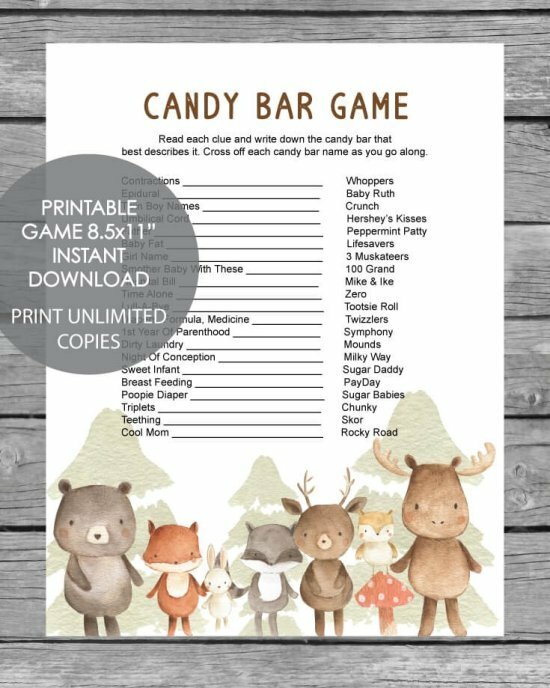 Begin reading off each clue and have guests write down which candy bar goes with each clue. 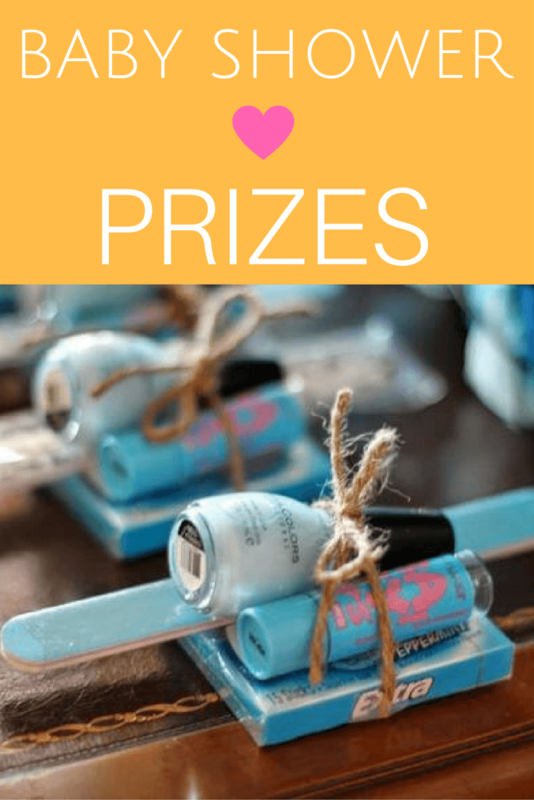 The guest with the most correct wins a prize, or a candy bar! If more than one person wins, have them each pick their favorite candy bar. For this version, you don't actually need to buy all of the candy bars, but it makes it more festive if you do! Have them displayed in a nice gift basket and give to the winner of the game as a prize! Or you could have them taped to poster board so people could see what they looked like. This game is crazy but fun! 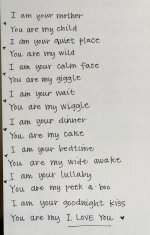 Have 10 diapers numbered 1-10 with a Sharpie pen. Go to the store and buy 8 different kinds of chocolate candy bars. Hershey's Chocolate Bar, Twix, Kit Kat, Snickers, Baby Ruth, Reese's Peanut Butter Cups, Milky Way and Take 5 Bar, Junior Mints, and Milk Duds are good ones. When you are ready to play the game, unwrap each candy bar and place it in the microwave for a few seconds to melt it a bit. 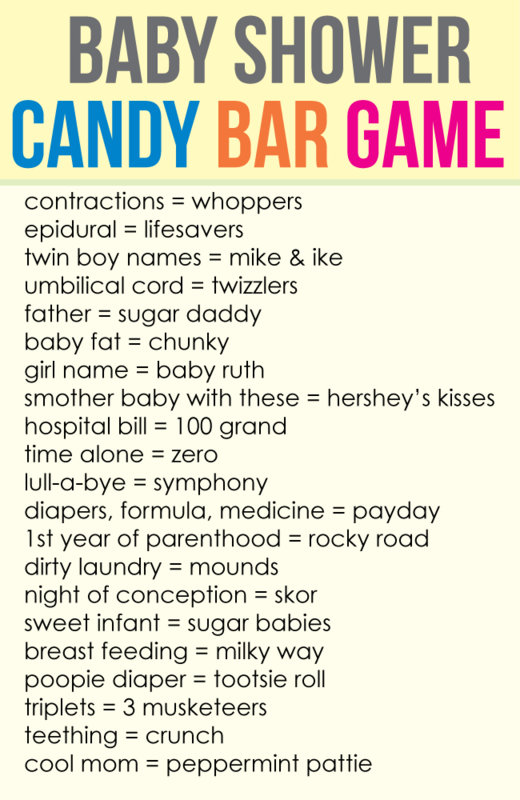 Place each candy bar into a numbered diaper. 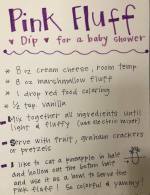 Be sure to take note of which numbered diaper you are putting the candy bars into. Hand each guest a piece of paper, a pen, and a hard surface to write on (such as a magazine.) Have them number 1-8 on their paper. 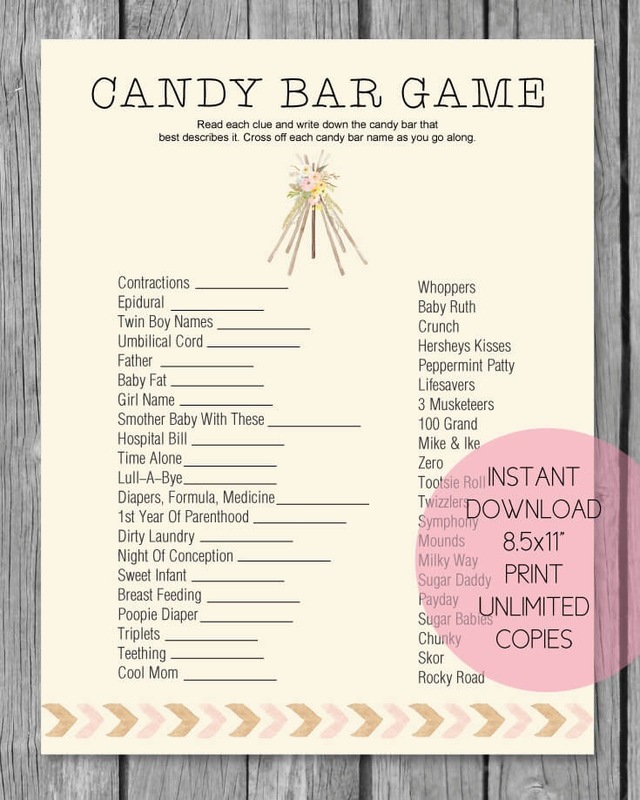 Pass the "dirty diapers" around the room and have the players silently guess which candy bar is in each diaper by writing it down on their paper. They can smell or taste the chocolate depending on their strategy! The player with the most correct is the winner. Have several small prizes available in case of a tie. 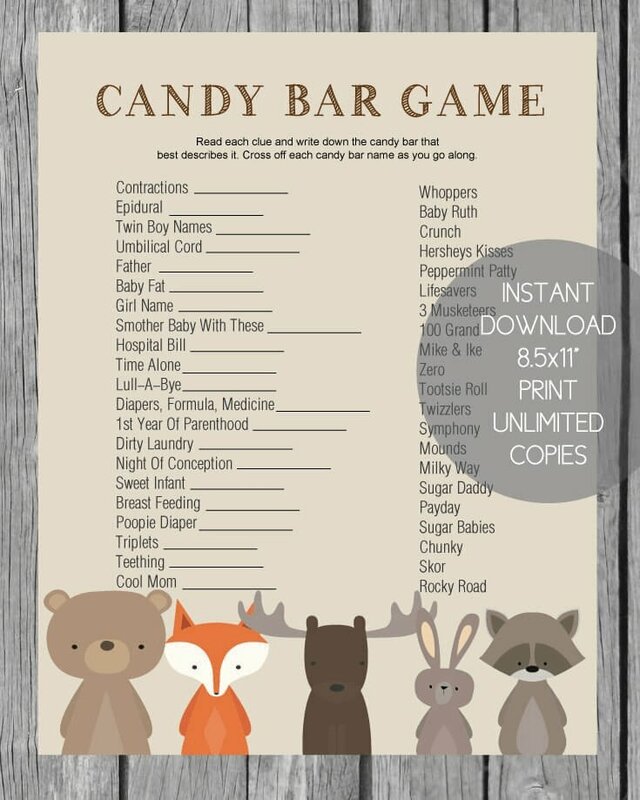 Or you can do a tie breaker where they try to guess the mom-to-be's favorite candy bar. The one who gets it correct wins a prize! 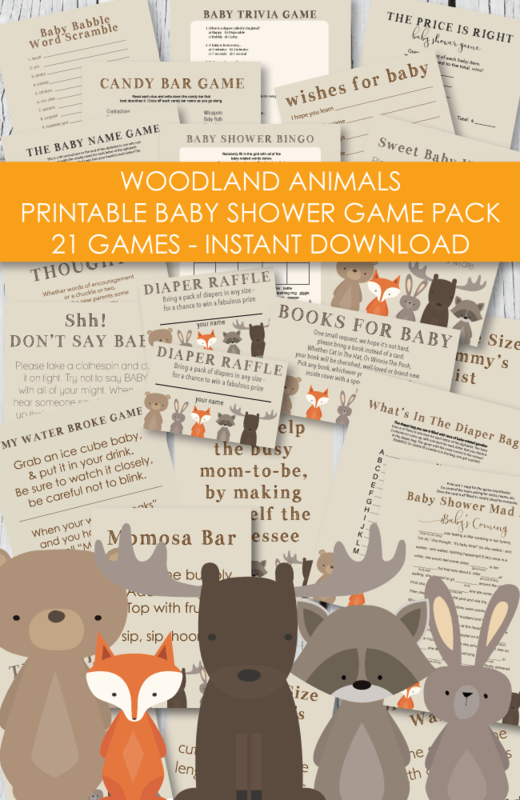 Here is another (less messy) version of the dirty diaper game! 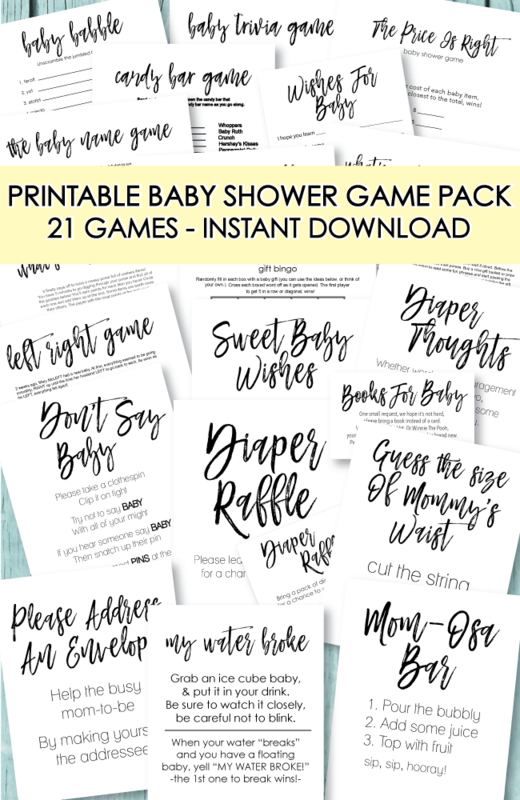 Pin a diaper to each guest and when you are ready to play the game, have each guest look inside of their diaper. The one that has the 'dirty one' is the winner!